Taking care of our skin is what most women want to acquire everyday, to have a younger and healthier looking skin as much as possible in order to feel confident in our everyday life as well as to ourself. I have never tried using a skin care Derma roller at all, I am interested in how this can help me stimulate collagen production, reduce wrinkles and fine lines on my face, which also helps improve appearance of scars on my face. It will also help reduce an enlarged pores, which tightens and smoothens my skin. New things for me, which I was somewhat eager to try and trigger on how the Derma roller can help me achieve these benefits. I don't usually go to a Dermacare shop and get a facial drama as I don't really know what to expect, plus they are expensive and I can't afford it, hence the cheaper way the better. I'm afraid that it might somewhat end up hurting my skin, although they know what they are doing. Nevertheless, if you want to save from visiting a dermatologist Petunia's Skincare Derma Roller has advantages that you might want to learn. Definitely cost effective, as you will have the product in a very cheaper price. Visible and Noticeable improvements after you follow and use the roller, shorter healing time, meaning it will save you gas and an appointment to visit a shop, definitely no permanent damage and that's what we all want to know. It has a high absorption of active ingredients and most of all easy to use. Liked the product? You may purchase it @ Amazon or visit them on http://www.petuniaskincare.com for only $15.97. Sounds like a good one but since my facial skin is so sensitive to everything, this might cause problem instead of improving it. Good review. That drma roller is something new daw sa misis ko. Baka raw pwede bilhan ko siya. 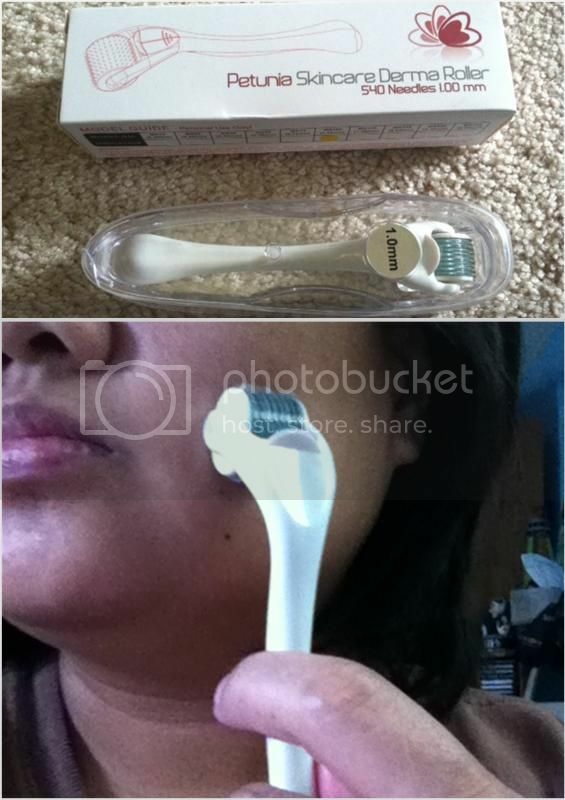 Whah..
Derma roller is very new to me. Haven't heard of it before and haven't tried too. Sounds interesting!